OAKLAND, Calif. (KGO) -- We're just hours away from the tip-off of the Golden State Warriors' run to defend their NBA championship. 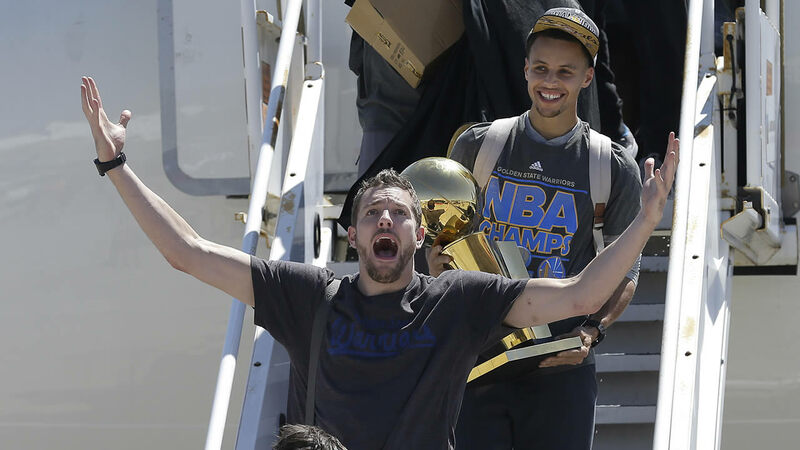 The Golden State Warriors are back in the Bay Area as NBA champions for the first time in 40 years. The Dubs practiced Monday ahead of Tuesday's season opener at home against the New Orleans Pelicans. Luke Walton will fill in as head coach while Steve Kerr rehabs from back surgery. The Warriors will receive their championship rings in a ceremony before the game. 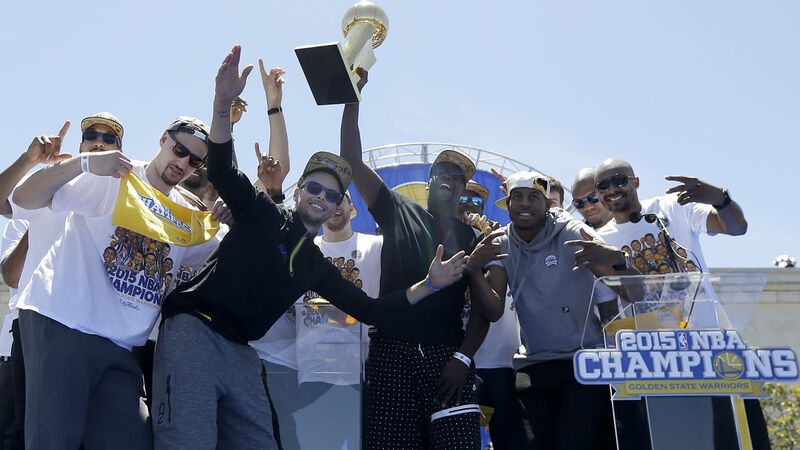 ABC7 News brought you full coverage on the Golden State Warriors' victory parade and rally. Here's a look at some of the best photos and videos to help you get ready for the upcoming season. VIDEO: Klay Thompson says, "This is just the beginning..."
VIDEO: Warriors' Draymond Green says "We did this for the Dub Nation!" Share your Warriors fan photos and videos on Twitter, Instagram, or Facebook with #DubsOn7.